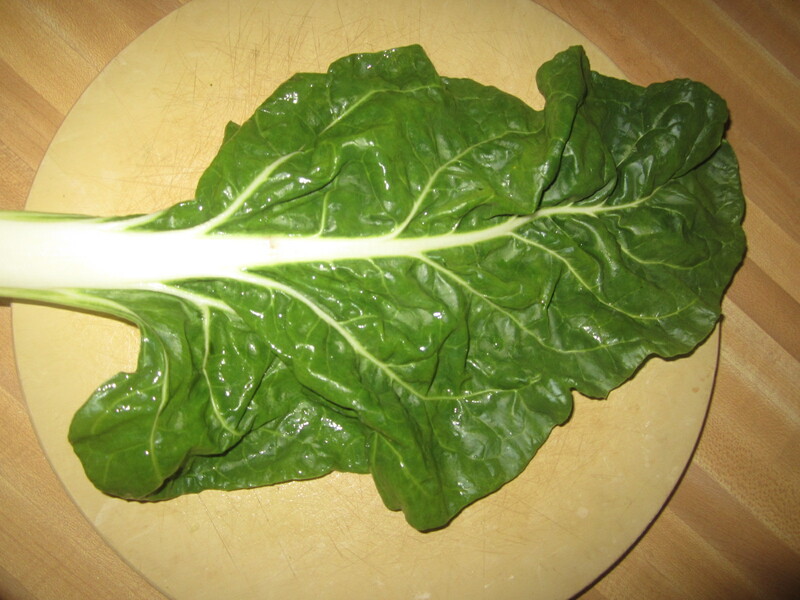 Green leafy vegetables are a wonderful thing! No, really, they are! They’re good for you, and they can be a wonderful flavor accompaniment to various dishes. 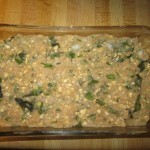 This here is the recipe for the Swiss chard that accompanied my chicken meatloaf. 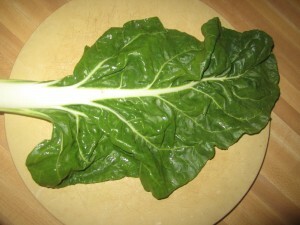 I really like chard as a side for a multitude of different meals. 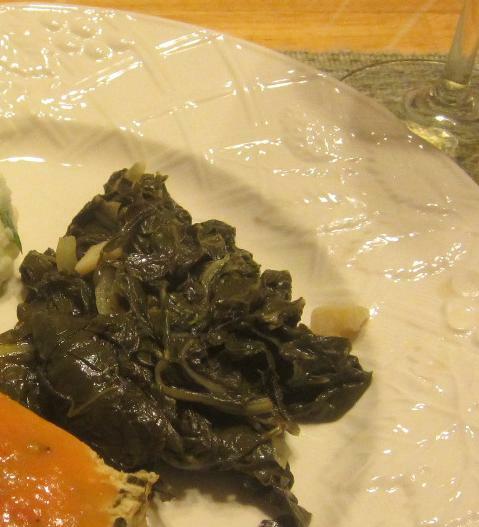 The question most people seem to have, though, is how do you prepare the chard for cooking. Before we discuss recipes, let’s chat a bit about how to actually prep these leaves for cooking! First, you need to remove the stem. 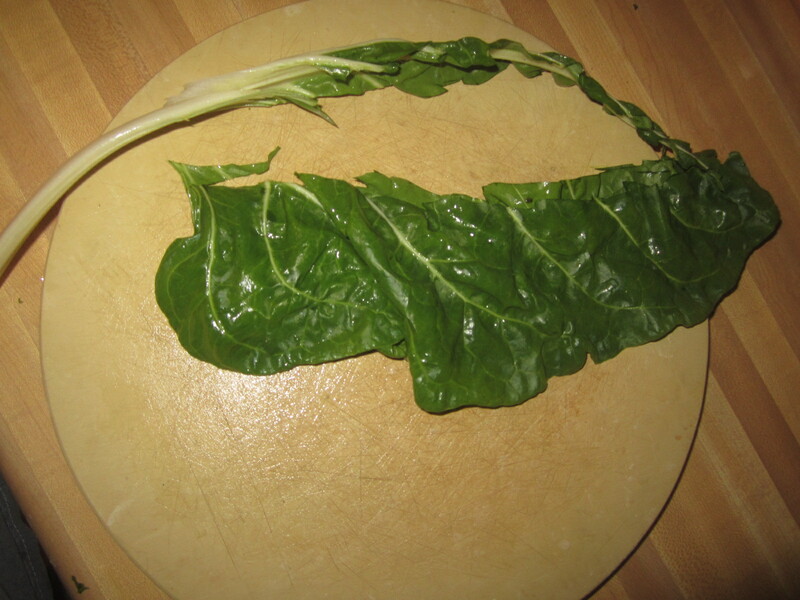 Take the leaf and lay it flat on your cutting board. 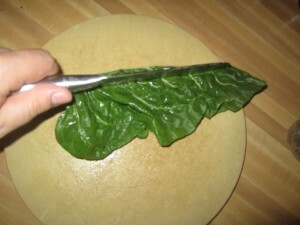 Now fold the leaf over along the stem and then use your knife to cut the stem away from the rest of the leaf. 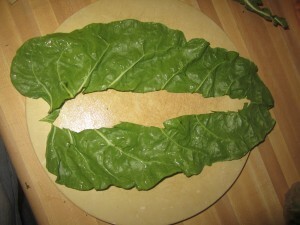 You do not have to cut the leaf completely in half. Cut the stem off at the far end and remove it from the rest of the leaf. Now that you have the stem removed, complete the same process with all of the leaves. Then, rinse them good with water to get any grit out of them. Once you have rinsed the leaves and allowed them to try a little, take a handful of them and lay them flat on top of one another. Now roll them up kind of like a cigar and then use your knife to slice the cigar roll into pieces. 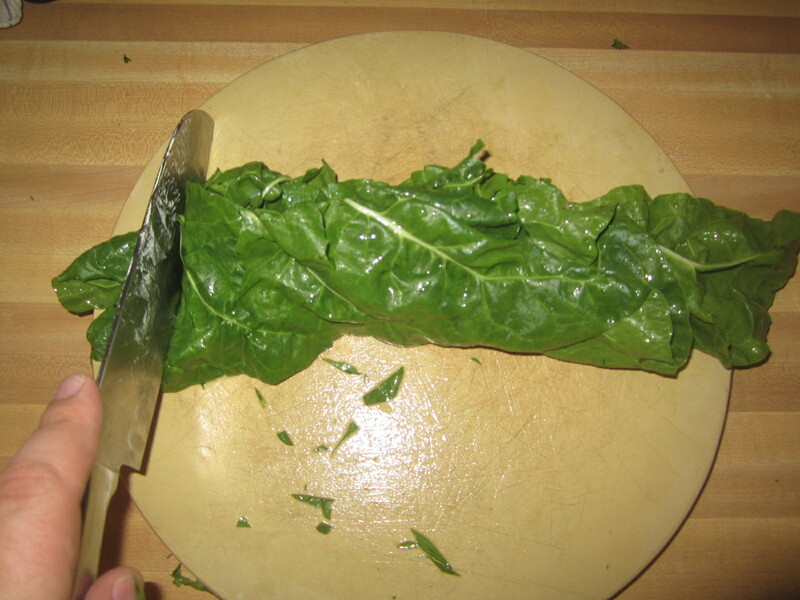 Your chard is now sliced and ready for cooking! 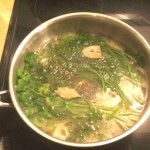 Add 2 or 3 tablespoons of oil to a large sauce pan or a stock pot. Add in the onion and let it soften on medium heat for about 2-3 minutes or so. Add in the garlic and stir it about. Let it all cook for about 1-2 more minutes. Now add in your chard leaves in handfuls, stirring as you toss them in. Once you have all of the chard in the pot, add in the chicken stock, water and vinegar. Add in salt and pepper to taste, stir it all about, and then cover it and let it simmer for about 10 minutes or so (or until the leaves have wilted and softened). Drain the liquid from the chard leaves and you have a tasty, healthy side dish ready for serving!